Ozu is included in Nagoya area. 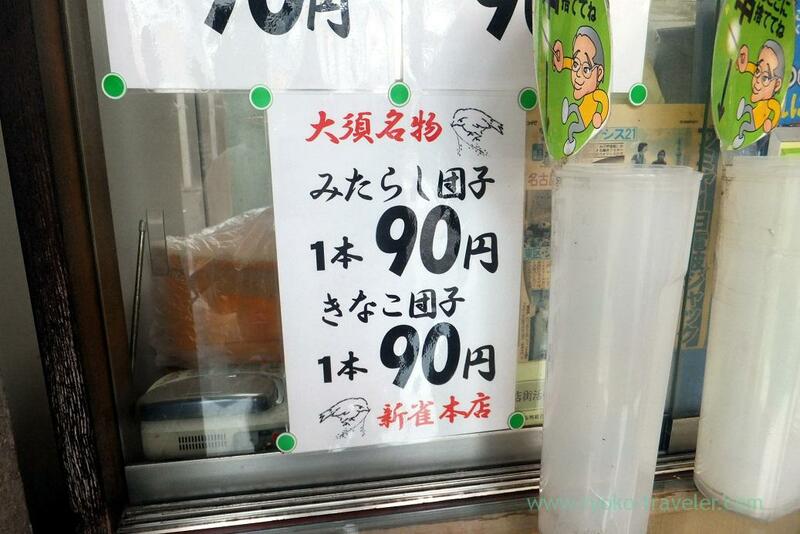 But it’s differ from the center of Nagoya city. 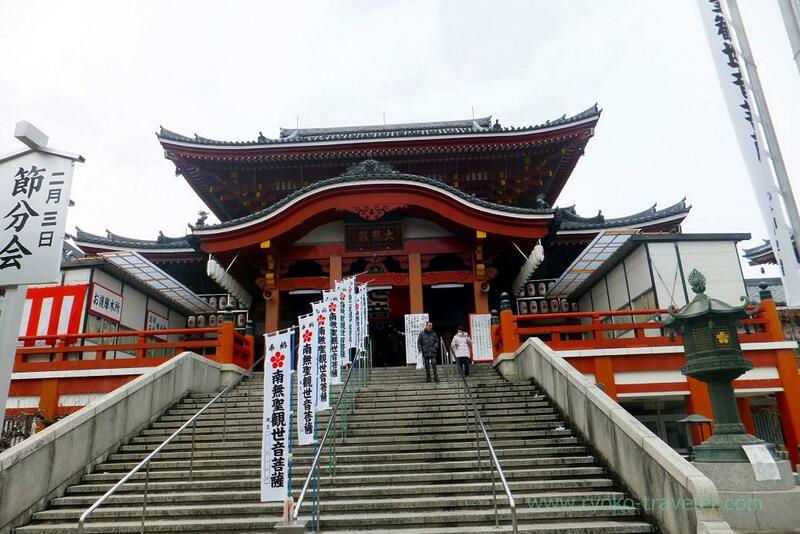 It’s a historical area and have an old temple that is named Ozu Kannon. 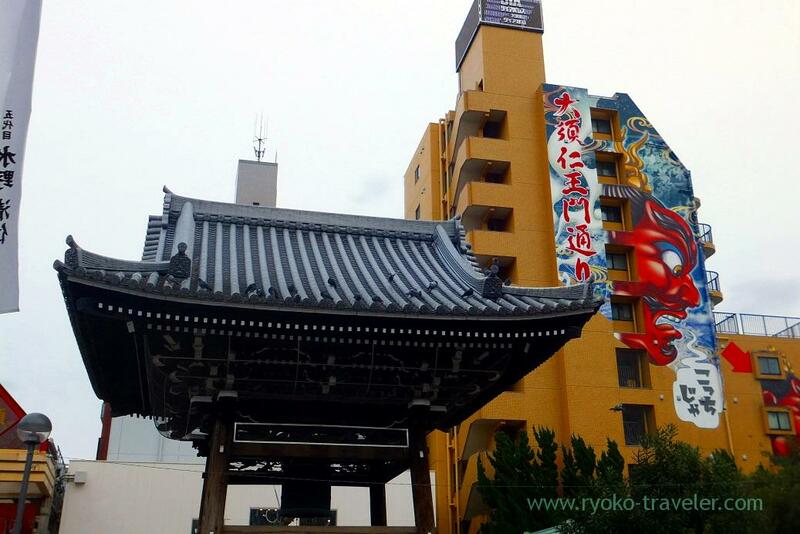 If you want to feel history of Nagoya, Ozu Kannon is MUST place to visit. Admission fee is free. So, there’s no reason to refrain from Ozu Kannon when you visit Nagoya. 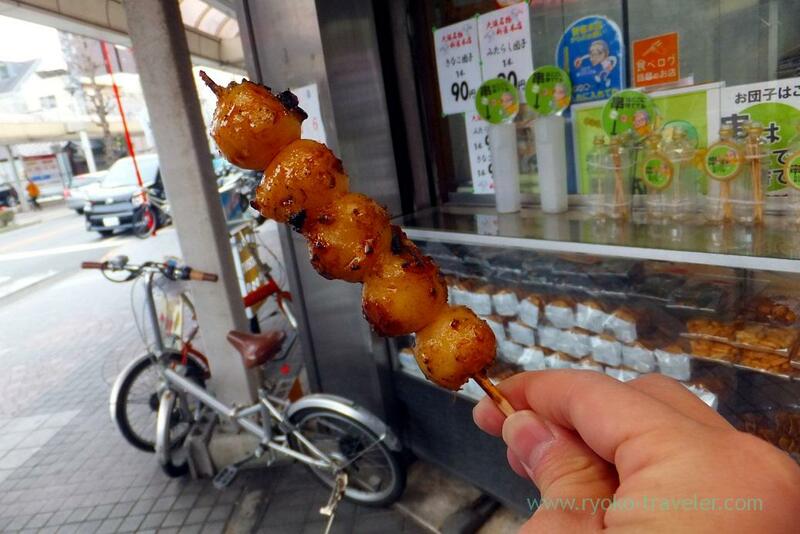 There’s shopping street in front of Ozu Kannon and lots of shops are along the street like taiyaki shop and dango shop. I heard that there are always lots of people. But as you see,there were few people when we got to there. It was very cold day… Of course inside the temple, too. 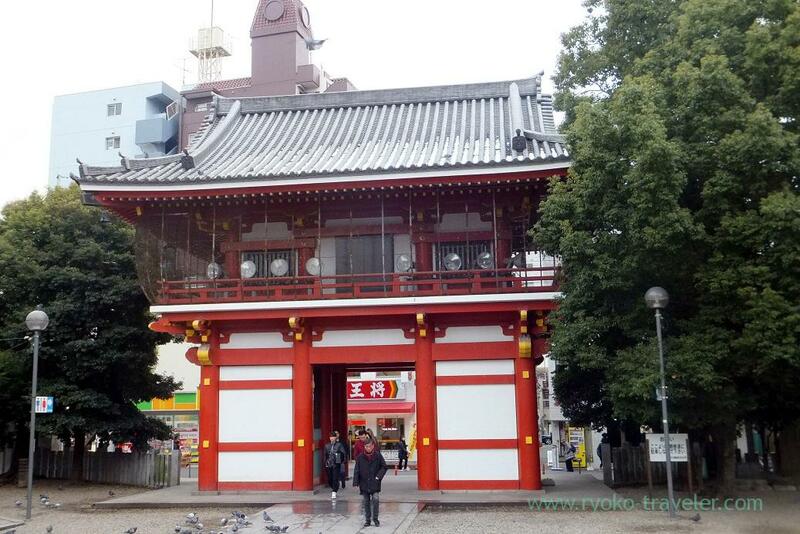 It is located close to Ozu Kannon station (metro). When you visit Ozu Kannon, there’s a sweets shop that have MUST dessert that you eat. The shop’s name is Niisuzume honten. 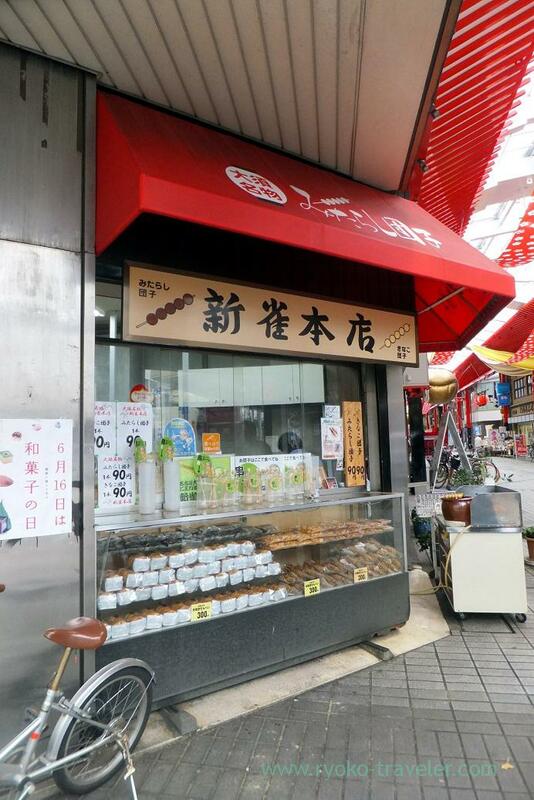 They’re mitarashi dango shop. 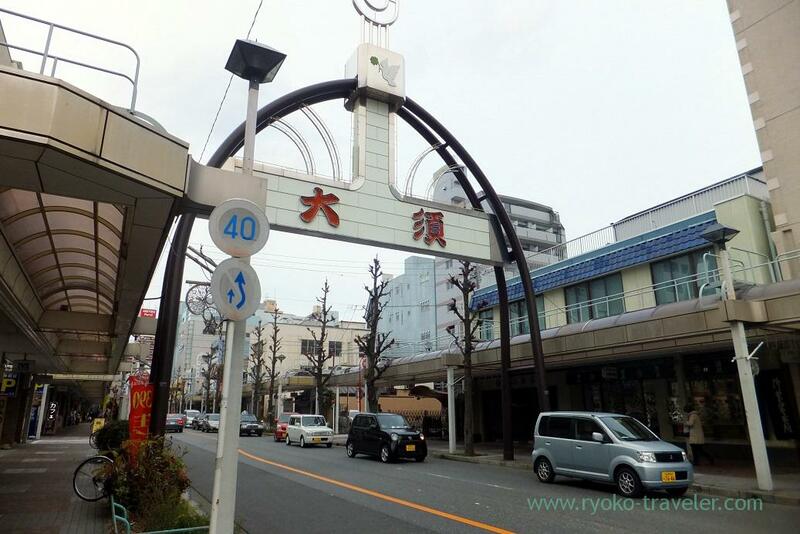 It’s located along Ozu Shopping street. 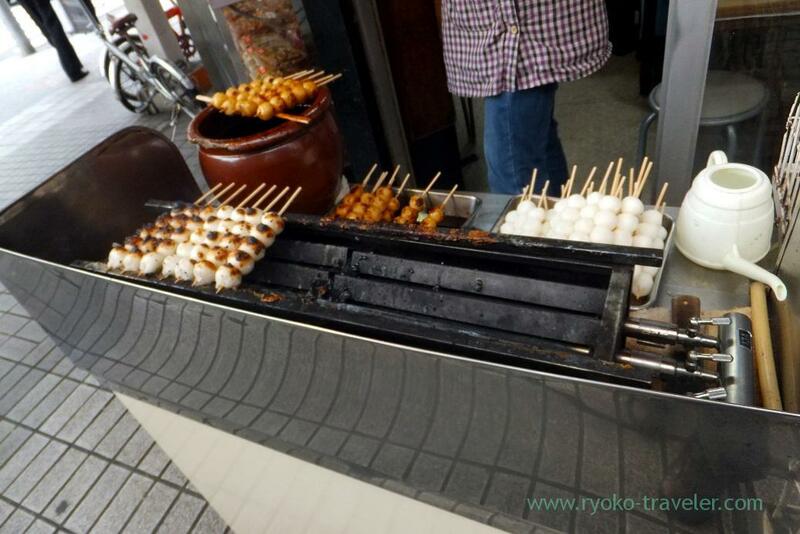 They serve mitarashi dango and kinako (soybeans flour) dango only. 90 yen each. Incredibly inexpensive ! It have five balls. Umm. Five brothers ? :p I choked on the powder. But delicious. They keep adding ingredients into the pot that have their secret sauce. The sauce isn’t sweet. I like it. 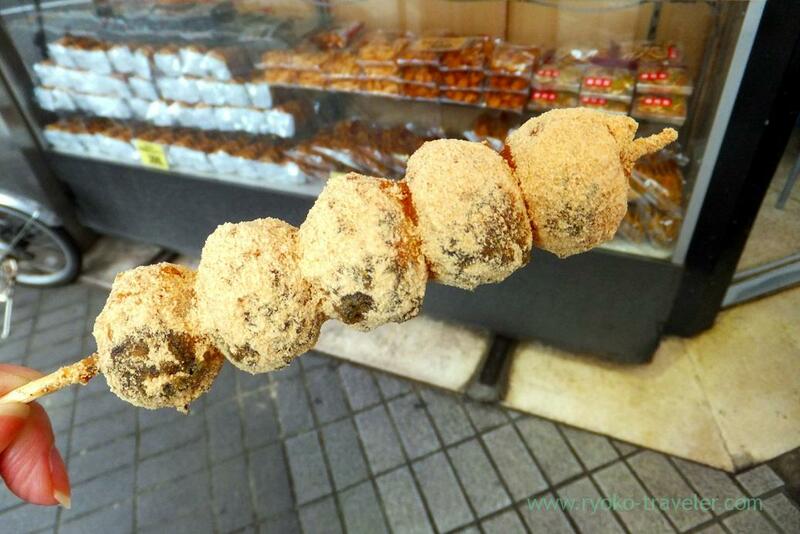 We felt like walking along the street with the dango but the notice says we should eat in front of the shop. Maybe it’s because walking with sticks is in danger. 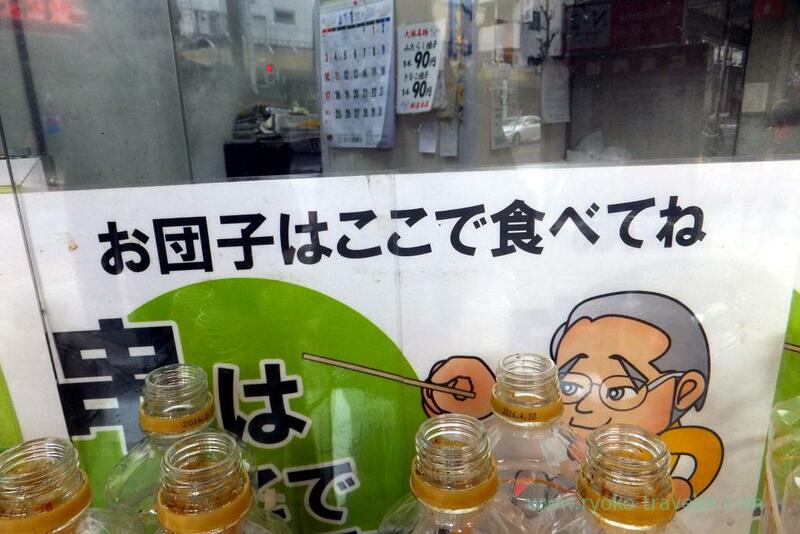 Those plastic bottles are for spent sticks. Open / 2 p.m. – 7:30 p.m.